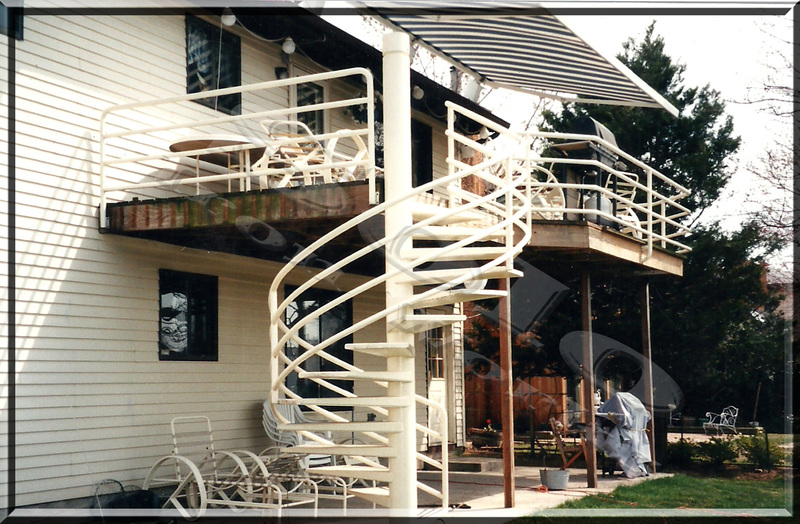 Providing Ornamental Railing and Spiral and Circular Staircases since 1964. Solo Ironworks specialize in Railing manufacturing in a wide variety of metals. Wrought Iron, Aluminum, Steel, Brass, Chrome, and Stainless Steel. 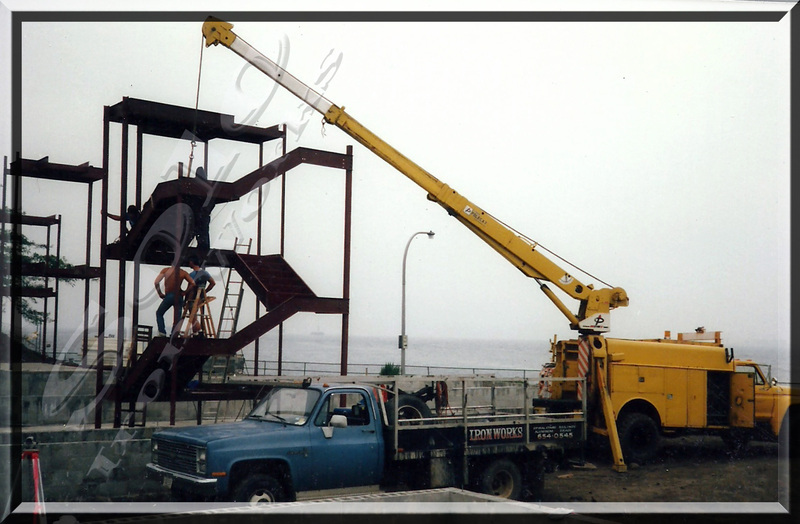 Solo Ironworks is a licensed and insured corporation that provide full metalwork's manufacturing and installation of all our custom made products. 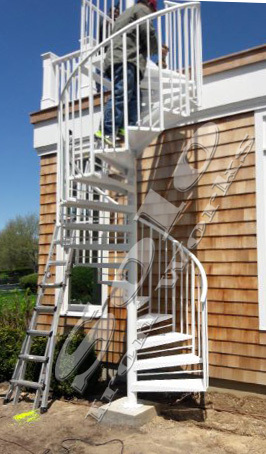 Commercial and Residential for all interior and exterior work including Spiral Staircases, Handicap Railings and Estate Gates . 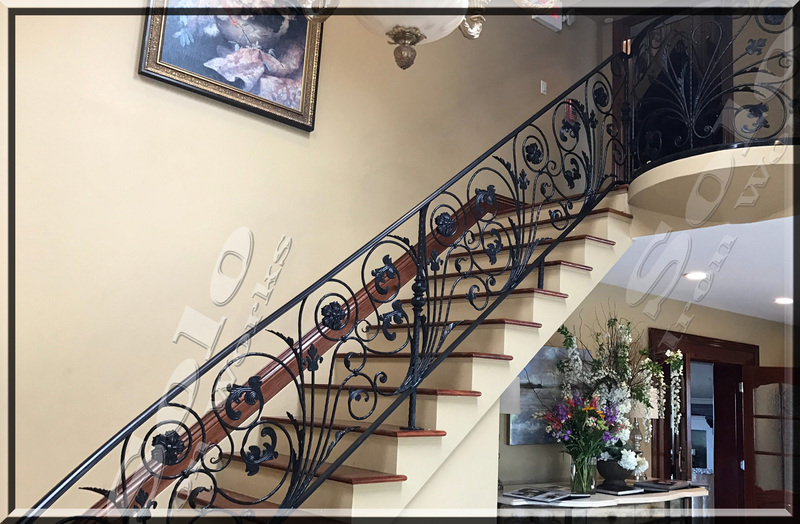 Solo Ironworks also fabricates Wrought Iron Fencing and Window Guards, in addition to Fire Escape Stairwells, Circular Staircases and a wide range of miscellaneous metalwork's. Solo Ironworks continually work with Contractors and Architects in erecting structural steel buildings for homes and business, by providing Steel I-beams, lally columns,Flitch Plates, Angles and Lintels, Bar Joists and Decking. 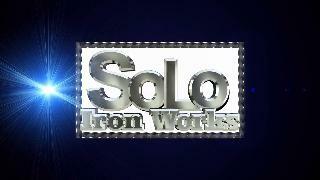 Why Choose Solo Iron Works? Click here for the About Us page. The owners of Solo Iron Works has been in the iron works business since 1964. Solo Iron Works has the equipment in-house to create custom fabricated metal projects. If you can imagine it, we can make it for you. Solo Iron works has the ability to bring to life some of the most unique and inventive ideas and projects. We can include Glass, Curved Glass, stainless Steal, Etched Glass, Colored Etched Glass, and much more. Our finished work is practically art. Due to our experience, our welds are clean and finished. Your project will look professional, from far away to point-blank range. We grind and finish all of our welds and polish our metal to the appropriate shine. Solo Iron works can custom build anything that you like. Contact us for a free estimate or more information . Spiral and Circular Staircases - Spiral Staircases both Outdoor Spiral Staircases and Indoor as well as circular staircases. Click here to learn more about spiral and circular stairs. Railings – Solo Iron Works is an expert at Indoor railings and outdoor railings for all different applications. We make Outdoor Pipe Railings, wrought Iron Railings, Wheelchair and handicapped ramp railings, Glass Railings, Curved Glass Railings, stair railings, stainless steal cable and much more. Click here to learn more about railings. Fencing – Weather it is wrought Iron fencing or a Cheek walls on stone or brick fences, Solo Iron works can make it. Click here to learn more about metal fencing. Driveway Gates – Also known as Estate Gates, we are your one stop shop for customized outdoor gates. We can even have them motorized. Click here for estate gates, gates, and driveway gates. Other Services – We provide many other services for contractors and designers or homeowners or business owners include window guards, some structural welding, fire escapes, arches and Metal Sign. We can custom fabricate almost anything out of metal. Solo Iron Works can provide repairs or replacement. We have portable equipment for welding all types of metals including aluminum. Click here for other services. Direct home or business owner - Click here if you are a homeowner or commercial business owner not working with a contractor or designer.